We know they're healthy, but sometimes salads don't seem like the most exciting meal option. If you're tired of limp lettuce or struggle to feel full after chowing down on a bowl of greens, Food52 is about to change the way you think about the humble salad. The culinary authority turned to its community of 1.2 million home cooks to uncover the top-rated salad recipes that actually taste as good as they look. The best bit? Each recipe is packed with a multitude of hearty ingredients that won't leave you wanting for more. Think "chewy grains and silky beans and sprouts and rips of prosciutto, any seed and toasty nuts and eggs and pretzels and bright herbs." 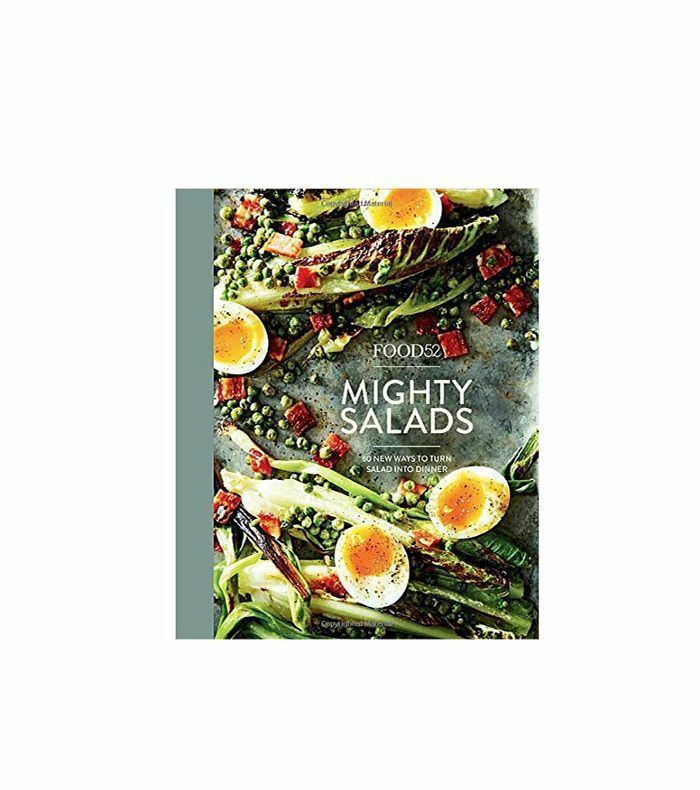 Oh, and if you like these three top-rated recipes, you can find the full collection in Food52's new cookbook Mighty Salads. Your spring health-kick starts here. Preheat the oven to 350º F. Arrange the bacon slices on a baking sheet in a single layer. Sprinkle with sugar and paprika. Bake until caramelized, for about 25 minutes. Let the bacon cool completely (the bacon will crisp as it cools) and then cut it into 1/2-inch pieces. In a small bowl, mix the mayonnaise, crème fraîche, buttermilk, and lemon juice. Season with salt and pepper. To prepare the vegetables, rinse the scallions and pat dry. Rinse the romaine and pat dry. Discard the outermost leaves and chop off the top 2 inches of the romaine head. Cut each heart of romaine in half lengthwise, making sure that the root keeps each piece together. Preheat the broiler. In a bowl, toss the peas with olive oil, salt, and pepper. Transfer to a large sheet pan in one layer, and broil until the peas are lightly browned, mixing occasionally, for about 8 minutes. Place the peas in a small bowl and set aside. Place the scallions on the same sheet pan in one layer, lightly brush with olive oil, season with salt, and broil for about 4 to 5 minutes, until lightly charred. Transfer the scallions to a cutting board or work surface and let cool for 2 to 3 minutes. Cut the scallions into 3/4-inch pieces. Lightly brush the romaine pieces all over with olive oil, and season with salt and pepper. Broil the romaine on the sheet pan until lightly browned in spots, turning occasionally, about 5 minutes. Transfer the romaine to a work surface and let cool for about 2 to 3 minutes. Chop the romaine into 1-inch thick strips. Discard the roots. Preheat the oven to 250° F. In a bowl, mix chickpeas with 1 1/2 teaspoons olive oil, then add the salt, za’atar, black pepper, lemon juice, and zest. Bake for 10 to 15 minutes. Set aside. What's your go-to spring salad? Share your favorite recipe with us below.